Recently, the automotive market has been affected by the creation of a new data transmission protocol called SENT, which stands for "Single Edge Nibble Transmission". This protocol involved a major change in the sensors used in the automotive industry. Unlike traditional analogue ones, the new SENT sensors operate digitally and offer numerous and interesting advantages. First of all, the new sensors are immune to electromagnetic disturbances as the signal is converted into high resolution digital form directly from the sensor itself, which sends it to the engine control unit with a frequency of 1000 times per second. Secondly, they allow you to acquire more information with a single cable (such as pressure and temperature values) and this allows to have a much more accurate control of the motor parameters. But that's not all: the new SENT sensors, with only a few wires, significantly lower costs. Emanuel Lago, in charge of Seletron development, anticipates: "In the future, car manufacturers will most likely adopt this system more and more frequently, which is an advantage from various individuals points of view. The new SENT sensors are reliable, have a high resolution, are immune to electromagnetic disturbances and, compared to traditional sensors and other digital systems, are very convenient from an economic point of view, an aspect that naturally, should not be underestimated. In the Seletron workshop, the new Touareg 3.0 V6 arrived today, with its 286 HP of power and 600 Nm of torque, it already has very good performance. However, Seletron, which has been producing and distributing additional control units for petrol and diesel engines for over a decade, has not been satisfied. "We faced the New Touareg 3.0 V6 with 286 HP of power and 600 Nm of torque. A car with excellent performance, but we know that we at Seletron want to do more and more. Our goal is to satisfy our customers and, possibly, to amaze them ", explained Emanuel Lago. For this engine, the Seletron research and development department immediately got to work and developed a new CHIPBOX® Performance Kit, containing, in addition to the traditional analog sensors, also the new digital sensors with SENT technology. "We know that, in order to keep steadfast in a market that fortunately sees us in a good position, we must continue to grow and study new solutions, suitable for a constantly evolving sector such as the automotive sector. Enthusiasm and curiosity are our dominant traits, combined with the necessary and inevitable qualities of reliability and safety. This is the mix that allows us to satisfy all our customers, even the most demanding ones, and to grow our company and the Seletron brand in the world. It is the satisfaction we experience every day that gives us the incentive to grow and take new and sometimes unexplored roads ", added Emanuel Lago. 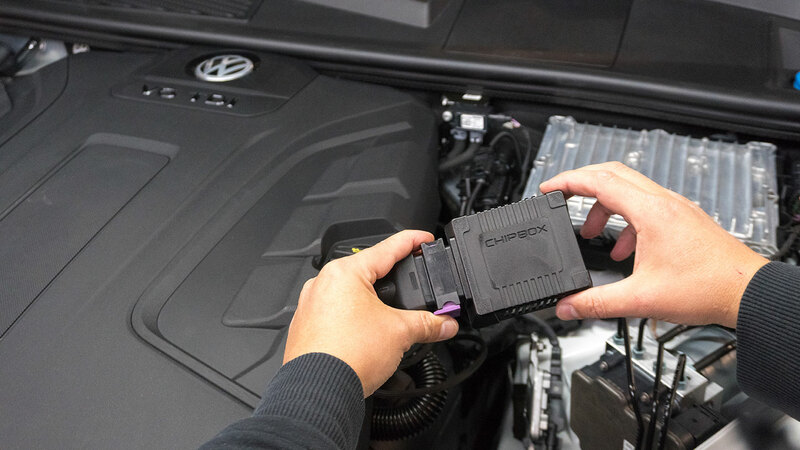 "We do our best to keep up with the times and this seemed to be the right time for the management of digital sensors for vehicles and so we immediately adapted our PERFORMANCE KIT CHIPBOX®. The results were exceptional, with our and customer satisfaction "commented Emanuel. The company based in Tezze sul Brenta (VI) has always shown itself ready to face new challenges and welcome changes in the market, constantly investing in development research and expanding the already deep experience of the automotive and tuning sector. Seletron products are characterized not only by their excellent performance, but also for the simplicity of installation and use. The installation of the new PERFORMANCE KIT CHIPBOX® takes just 15 minutes and, to carry it out, no specific equipment is required. Moreover, the driver can take care of it quickly and safely, without requiring the intervention of a professional. SENT (Single Edge Nibble Transmission) is a method for transmitting point-to-point signals from a sensor to a control system, designed to transmit high-resolution data with a lower total cost than other serial transmission solutions. The SENT communication protocol has recently been developed for sensors in the automotive industry. Unlike traditional sensors that give an analogue value to the control devices, the SENT sensors work digitally, offering innumerable advantages and allowing a much more accurate motor control than the classic serial bus connections.